Shown to be effective for 70% or more of women who use it. Long-lasting device is very affordable, especially when compared to pills and supplements. Could be embarrassing at the airport, etc. 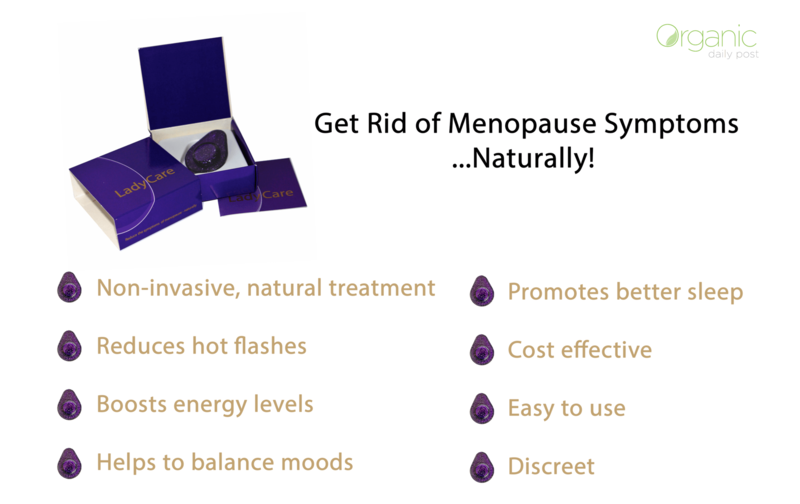 The LadyCare is a simple magnetic device that helps to reduce the symptoms of menopause. Studies have shown it to be effective in 70% of women and over 500,000 women have used it. Wearing a magnet in this way takes a little getting used to, but there aren't a wide variety of effective natural methods for reducing the symptoms of menopause so this is worth a try. While there are various different treatments available to help ease the symptoms of menopause, for many women, they either make them feel worse or they simply don't work. However, don’t despair and don’t suffer in silence as there’s a new product in town that might just give you the relief you’ve been hoping for, and it’s called Ladycare. To help you get to know a little more about this product, the following article will take you through some of the ins and outs of Ladycare. We’ll talk about its good points and its not so good points so that you can make an informed decision as to whether or not it’s the right product for you. 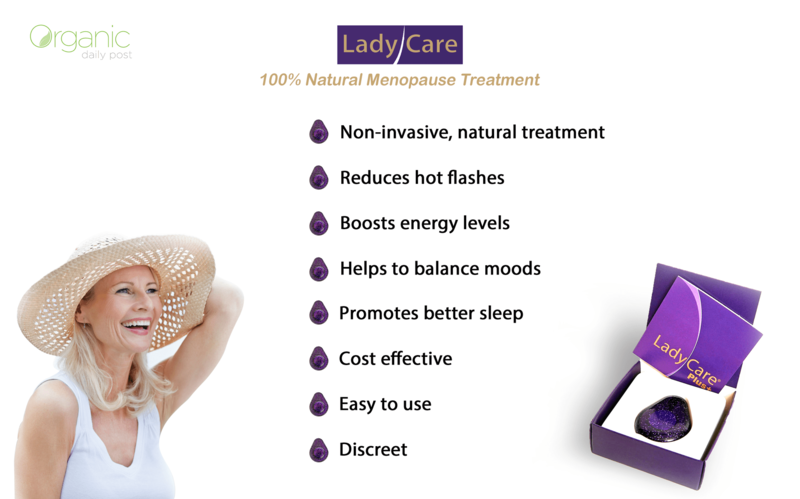 Ladycare is a revolutionary treatment designed especially for relieving many of the symptoms associated with menopause. It’s a discreet, drug-free device that’s worn under your clothes, against your skin, and is completely undetectable to anyone else. 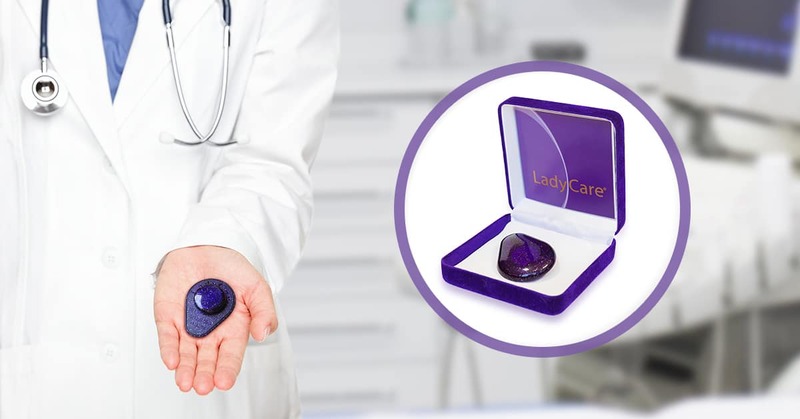 The Ladycare device consists of two magnets of slightly different sizes. Essentially it’s just the larger magnet doing all the work; the smaller magnet is just there to keep it in position. Both magnets are covered in a smooth plastic and feel pretty solid. Hot flashes - This is the number one reason people try this product. Hot flashes are the most common symptom that women report of during menopause. 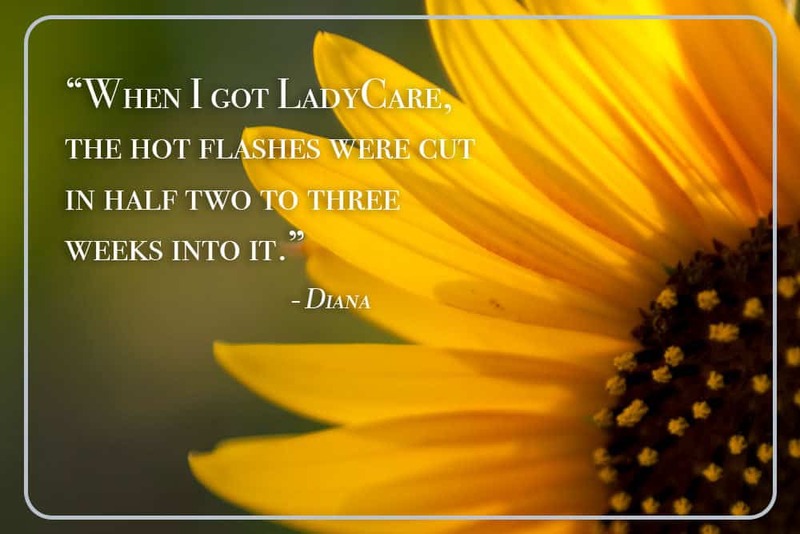 Reports have shown that around 70% of women using Ladycare had reduced hot flashes during the day. Weight gain - Because of the imbalance of hormones in the body during menopause, weight gain is quite common. Ladycare has been shown to effectively combat this. Mood swings - A lack of sleep brought on by hormonal changes can cause both anxiety and mood swings. Using Ladycare to balance out those hormones is a non-invasive and non-medicated way to feel happy again. Chronic fatigue - Because your mood levels are affected when going through the menopause, your energy levels are affected also, quite often leading to chronic fatigue. The main symptom of chronic fatigue is the feeling of being constantly tired, regardless of the amount of rest you have. And as you can imagine, this can have a huge impact on one’s life. However, some women have reported relief from chronic fatigue just one day after using Ladycare. Stress - Going through the menopause can be a very stressful time for many women. All the hormonal changes taking place as well as dealing with weight gain, a lack of sleep, and anxiety can take its toll. However, both the Ladycare and Ladycare Plus devices can help with this by balancing the body’s autonomic nervous system (ANS). Not only is Ladycare said to be effective for women going through the menopause stage of life, but it’s also said to help with those in the peri-menopause, surgically menopausal (hysterectomy), and beyond menopause stages of life. Menopause symptoms arise when there’s a significant reduction of hormones within the body. And it’s these reductions that appear to cause the autonomic nervous system (ANS) to become unbalanced. The way in which the Ladycare device works is all based on the workings of the ANS, so to help you better understand the product, we’ll first explain a little more about this complex system. As a whole, the ANS is responsible for controlling bodily functions including heart rate, sweating, circulation, and bladder function. But, there are two very distinct divisions within this system, each with their own roles and responsibilities. They are the Sympathetic Nervous System, (SNS) and the Parasympathetic Nervous System (PNS). The SNS is the division responsible for all of our fight-flight reactions. It’s this system that causes our heart to beat faster and pupils to dilate when we perceive a threat. Menopausal symptoms such as anxiety and sweating are controlled by the SNS. "9.5 out of 10 patients reported 100% relief from menopause symptoms." The PNS, on the other hand, is the division responsible for digestion and rest. And where the SNS causes the heart rate to accelerate, the PNS slows it back down. Working in conjunction with one another, these two magnificent systems regulate all the organ systems within our body. Hormonal changes that take place during menopause have a tendency to affect the equilibrium of these two systems. While SNS activity steadily increases, PNS activity decreases. This unnatural imbalance is thought to be the cause of many symptoms women experience during menopause, particularly hot flashes. The way in which Ladycare works is by balancing out the activity within these two systems, reducing the excessive activity within the SNS while increasing the activity within the PNS. Using SME fields and static magnetic technology, the device connects to ANS receptors found in the pelvic area. The magnetic pulse then seeks to restore the body’s natural balance. One of the greatest things about this product is that it’s so easy to use and can be applied straight out of the box. There are instructions included in the package if you get stuck, but you really shouldn't need them. To use the Ladycare system, simply fix the magnets into your underwear, roughly around four inches or so below the navel. The larger magnet sits directly against the skin while the smaller one attaches to the outside of the cloth and is what keeps the device in place. And that’s all there is to it. Simply leave the magnet in place 24/7 and let it work its magic. Experts suggest that you need to wear the magnet for about 3-4 weeks to feel the full effects, although some women have reported relief almost instantly. And, there’s no limit to the amount of time you can wear the Ladycare device for. Some women continue to use the device even after their hot flashes have subsided, simply to reap the other great benefits the product has to offer. The Ladycare device is very robust and well made and will remain effective for at least five years. That being said, they are magnets, so they aren’t foolproof and you may experience them falling off occasionally. But, once you get the hang of them, they’re pretty good and stay in place as they should. Ladycare Plus is the newer, upgraded version of Ladycare. While it does look the same as the standard model, this version was designed especially for those women who suffer from continuous high levels of stress. It’s around 30% stronger than its predecessor and works in extreme situations that the standard Ladycare device just isn’t equipped for. In terms of how it works, there’s no difference. Simply attach the magnets to your underwear making sure the larger of them is pressing against the skin. As well as benefiting from the relief of stress caused by menopause and everyday life, many users also report of a vast improvement in other menopausal symptoms including improved serenity, composure, and balance. There’s also very little difference between the Ladycare and Ladycare Plus products in terms of price. So for the sake of a few dollars, many women opt for the stronger one as you never know when those extra stressful situations may arise. Both the Ladycare and Ladycare Plus devices are available to buy for under $80, which is cheap considering that it's a one-time fee and the product lasts for 5 years. Any supplements or pharmaceuticals that serve the same purpose would cost far more. There are no known side effects of using either Ladycare or Ladycare Plus. Q: Can Ladycare be used alongside HRT? A: Of course. Many people choose to use Ladycare as an alternative to HRT (with their doctor’s consent). The best way to switch to Ladycare without experiencing any potential side effects is to use it alongside HRT, to begin with. Then, as you begin to feel the effects of Ladycare gradually wean yourself off the HRT. Q: Is Ladycare safe to use with a pacemaker or defibrillator? A: Anyone who wears a pacemaker is always told to be careful while handling any item that emits an alternating pole field to that of the device, including mobiles, microwaves, and security scanners. But because Ladycare emits a static negative pole, there’s no reason it should cause any problems when being used alongside a pacemaker or defibrillator. Q: Can Ladycare be used while exercising? A: Yes. There’s no reason why the device cannot be used while exercising. In fact, the manufacturers recommend wearing it 24/7. It may even help with your energy levels. 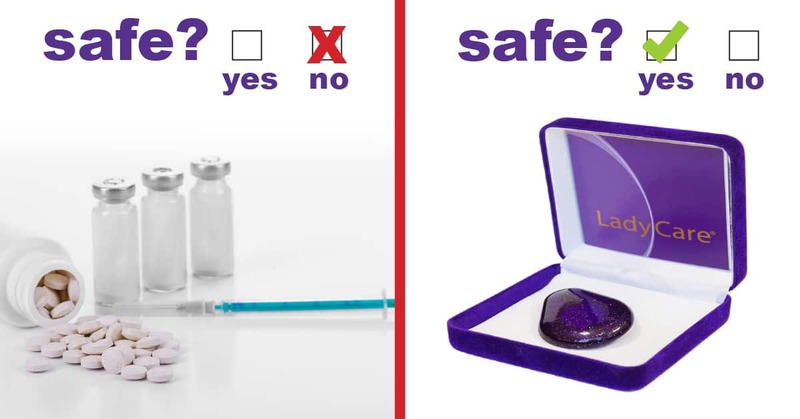 Q: Is the Ladycare waterproof? A: Although it’s not advertised as being waterproof, all the seams of the Ladycare device are ultrasonically welded. And while it’s not recommended to go swimming while wearing the device it’s unlikely to get damaged by the odd splash of water. It has been known to survive washing machine accidents. Q: Can anyone of any size or weight benefit from using this device? A: Yes. The Ladycare device doesn’t take a person’s size or weight into consideration, as there’s no need. It can help relieve menopause symptoms whatever your size. Q: Is Ladycare safe to use while undergoing treatment for breast cancer? A: Yes. Ladycare will not increase estrogen levels. And, it’s been proven to be effective in reducing hot flashes caused by taking certain estrogen-modifying drugs such as Tamoxifen. Of the thousands of women that use this product, none so far have reported any adverse effects relating to their breast or cervical health. Q: Why not just use a regular magnet? A: The Ladycare magnets have been specifically designed to reduce the symptoms of menopause and beyond. It works by balancing the two internal divisions of the ANS using SME and fields and static magnetic technology. Regular magnets aren’t made in this way. Q: Can Ladycare help relieve the pain of sore breasts? A: Absolutely. If you are perimenopausal, try placing the Ladycare device in your bra for around 20 minutes or so. This should help to ease any discomfort. Q: Is Ladycare safe to wear while flying? A: While the Ladycare device is perfectly safe to wear while flying, it will most likely be picked up by the airport scanner. So to avoid any unnecessary delays or embarrassment, it’s best to place the Ladycare device in your luggage until through the security desk. Then simply pop it back on your before your flight. Q: Can the Ladycare device be attached using tape to avoid wearing underclothes at night? A: Not everyone enjoys wearing underclothes when they go to bed. If this is the case then you can use adhesive wound protection patches to keep the magnet in place. These are waterproof and will last a number of days. Just make sure you include the smaller magnet when taping as this contains the directional device. If you’re a woman of a certain age going through the menopause and experiencing some of the associated symptoms, then you would probably be grateful for any kind of relief. That being said a lot of the treatments out there for the menopause are either medication based or other therapies that simply don’t work. But, Ladycare seems to bridge that gap by being both natural and effective. So, if you’ve tried just about everything to relieve your menopausal symptoms or are just tired of seeing the same old HRT on offer then Ladycare may be the treatment for you. It’s holistic, can be very fast to work, and is relatively inexpensive. So, what have you got to lose? Why not give it a whirl and see how Ladycare can help you.